Peruvian congressman Kenji Fujimori has shocked the nation with a column detailing how his father, imprisoned former president Alberto Fujimori, has reached out to new inmate and fellow former president Ollanta Humala, making him food and sharing blankets in prison. Humala, a leftist who served as president from 2011 to 2016, became the second living president behind bars in Peru this month, after a judge ordered an eighteen month prison term for himself and former first lady Nadine Heredia on corruption charges involving the beleaguered Brazilian construction corporation Odebrecht. 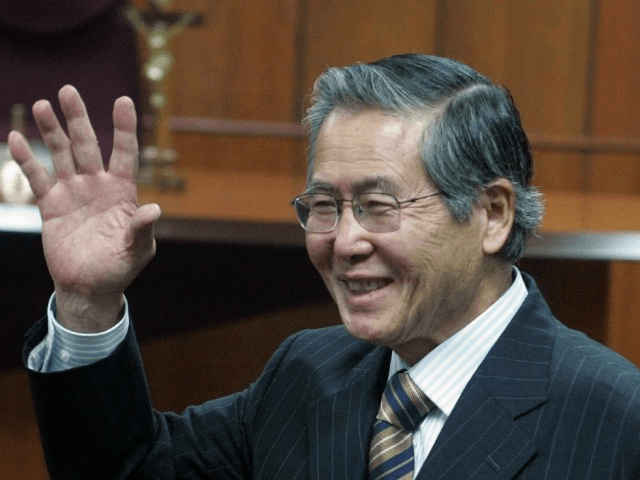 The elder Fujimori is serving a 25-year prison term on allegations of “crimes against humanity” during his tenure, which spanned from 1990 to 2000 and saw the complete dismantling of the notorious Shining Path (Sendero Luminoso) Marxist terrorist organization. Fujimori’s family had requested a pardon for the former president from Humala in 2013, citing Fujimori’s old age, which Humala denied. Today, a newly-released poll shows a plurality of Peruvians would support a pardon for Fujimori. Humala won the presidency by defeating conservative candidate Keiko Fujimori, Alberto’s daughter, during her first presidential run. Fujimori concludes his column calling for an end to dangerous political partisanship and encouraging Peruvians to reach out to those across the aisle who may be experiencing similar suffering. Keiko Fujimori, who remains a political force after barely losing a presidential run-off vote to current president Pedro Pablo Kuczynski this year, has issued a statement only lamenting the situation the country finds itself in, where two presidents are serving prison sentences and a third, Alejandro Toledo, would be under arrest if the United States extradited him for corruption charges related to the case that brought down Humala. While Kuczynski is a center-right banker/technocrat, a leftist anti-Fujimori family coalition guaranteed his victory in the recent election, voting for him following an underwhelming first presidential election result; Keiko Fujimori won the first round of elections, but Peru’s constitution demands a run-off vote if a candidate does not win by more than fifty percentage points. The run-off vote was marred by Kuczynski loyalists hurling racial slurs at Fujimori, who is of Japanese heritage, mocking her eyes. Under Kuczynski, Humala and his wife have found themselves locked in prison for eighteen months without an indictment. The Humalas are serving a “preventative” sentence to avoid a Toledo situation while the investigation into their potential criminal activity continues. Humala and Heredia stand accused of taking $3 million in bribes, disguised as campaign contributions, from the South American construction corporation Odebrecht, as well as taking illegal bribes from socialist dictator Hugo Chávez. 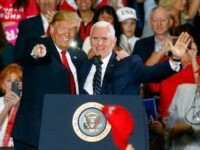 In a corruption scheme of allegedly unprecedented scale that involved a large number of falsified smaller companies and secret bank accounts, Odebrecht gave politicians throughout the continent bribes to ensure that the company would continue to secure lucrative public project contracts. Among those contracting Odebrecht for such projects is the Brazilian state-run oil company Petrobras, involved in its own prodigious corruption scheme that saw former socialist president Luiz Inácio Lula da Silva sentenced to 9.5 years in prison last week for bribery. Lula responded to the sentence by announcing that he was running for president.